Colocker is a brand new data centre facility located less than 2 miles from the M1 on the edge of Milton Keynes providing a locker-based colocation solution. The site was designed from the ground-up to address the existing shortcomings of the traditional 19" rack system which has been in use since before the Internet was even invented. Put simply, Colocker allows the user to host any item of equipment regardless of its form factor. As long as your device(s) will fit into one of our lockers they can be hosted with us, and remember you only pay per locker regardless of its contents. Colocker Ltd, which is part of the Data Centre Investments Ltd group of companies, is privately owned and held entirely by its Directors. By ensuring all management decisions to be made by a small and highly diverse team we offer unrivalled flexibility to the market backed by proven expertise and experience. As the first facility of its type in the UK, and probably the World, Colocker is the pioneer of locker-based colocation solutions. A continuous expansion plan will ensure we remain at the forefront of this exciting emerging market. 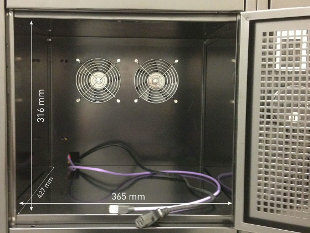 Colocker locker dimensions are 316mm x 365mm x 427mm and come as standard with a single mains and network connection. 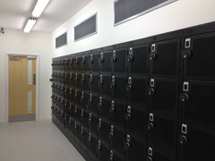 Every square metre of the Co-Locker facility is covered by CCTV. All cameras are manufactured by Axis Communications; recording is facilitated off-site. All recordings are kept for a minimum of 72hrs. 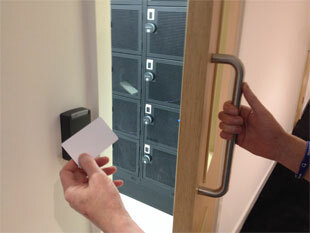 Access to the Colocker facility is via electronic 'key card'. This card will access the facility entrance 'mantrap', the open work area and your individual locker 'pod' containing 72 lockers. This gives simple 24/7/365 access with absolutely no booking or time constraints. 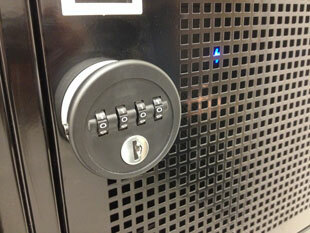 Access to your individual Locker is via a mechanical combination lock. 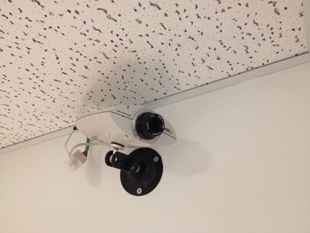 This provides 'physical' security in addition to the electronic security throughout the facility. Under no circumstances will an individual locker become open unless physically accessed via its combination lock. 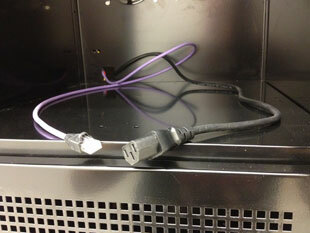 Power is supplied to the locker via a standard IEC C14 cable. Usage is fully monitored and power allowances start from 0.5A. A standard CAT5 Ethernet jack provides connectivity to our Cisco infrastructure. 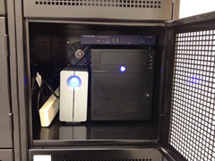 Users are encouraged to add their own switch and power distribution to allow multiple devices to share a locker. 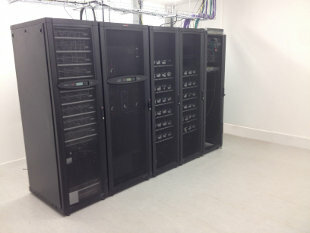 Our APC Symmetra UPS system provides protected power to all parts of the facility. This N+1 modular system allows maintance to be performed without the need to interrupt the supply so you can be sure that your equipment will continue to operate in the event of a mains problem. Remember: Our price is per locker, not per device! Setup fee and other terms may apply. Note: Data centre address only. © Copyright 2013 Colocker Ltd. All rights reserved.